If you have read any of my previous blogs I like any other parent raising children can go through a series of emotions daily. Some are bad days where I struggle with parenthood to the point I feel my emotions are boiling over, my neck and shoulders hurt, I over eat due to stress and I generally feel crap, but other days make me realise how amazing motherhood is. I have four girls aged between 13 and 7 and being able to watch them forge their own paths in life is an amazing privilege. We bring these tiny people into the world and are their family, teachers and support network. When they become older these little bundles trust and rely on you for everything still and you know that you will move heaven and earth to protect them. That feeling never goes away…..even now my own children are growing I still feel that sense of protectiveness and love I felt the day they were born. Even more so sometimes, I want to protect them from society and peoples cruel words, from prejudice and judgement. While I never thought I would raise disabled children as many parents don’t I have never hesitated in doing all that I can to make sure they get the best and I fight daily to ensure they are raised in a world that does not see them as different and unable but sees them for the amazing people they are and days like today when they learn something new makes me proud. All disabilities are different and need care in different ways but we parents become their carer’s and their advocates. In a world that is slowly changing to accept that people with disabilities deserve the same rights that we do I feel my children have more chance of showing the world what they have to offer. This is why I believe in writing and sharing my experiences like other parents out there so that hopefully my children can step in to a world where disabilities are considered but not made to hold those who have them back. Having children who have hearing loss is hard. I am forever feeling like I need to apologise for their loudness and their bluntness. My eldest has a mild loss and wears hearing aids and recently was bullied and told to stop staring at people. Yet when she explains why it becomes easier to understand when you are an adult but not when you are a child. You see she is not intentially being rude it’s just as she uses lip reading to help understand conversations around her, she looks at people’s faces and body language. If hearing loss was more talked about I feel that people would understand better. 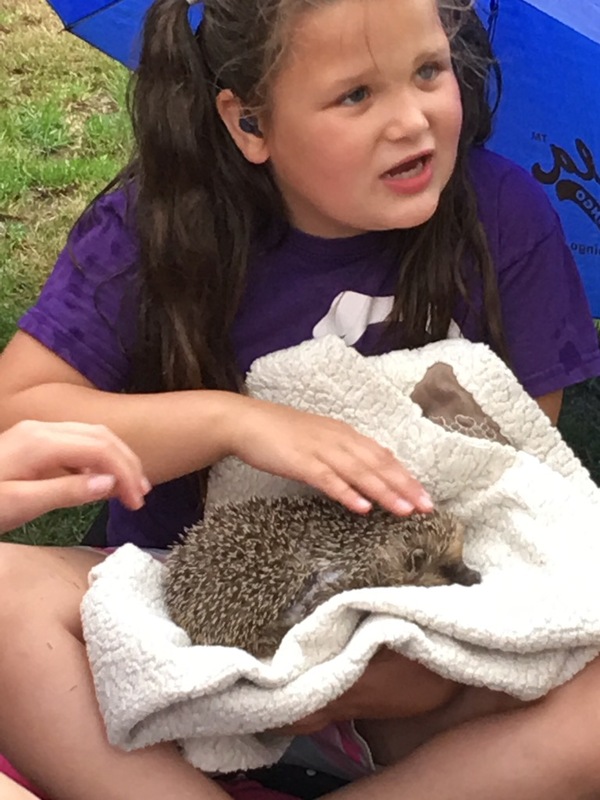 Another daughter with moderate hearing loss faces different issues, she struggles with high frequency words and again uses lip reading and body language to make sense of the world around her. Speech is such an important part of who we are and communication is everything. Not being able to communicate can become a very distressing and upsetting prospect. Relationships can become strained as there are barriers. Since the new born screening programme came in hearing loss is is picked up earlier and children can be given the care they need to help them but that doesn’t help others who do not know much about hearing loss. 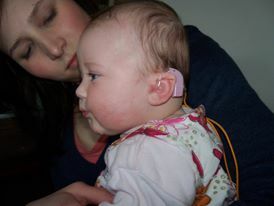 As a parent I tell people and are open with them that my children have a hearing loss. In previous years when my confidence was low this was extremely hard and I would frequently get embarrassed if people stared at us or stared at my children’s hearing aids. After confronting one person once about staring it became apparent that he was just fascinated as he had never seen young children with hearing loss and that he had always assumed it was an elderly person disability. After that I became more confident at being able to explain my children’s hearing aids as humans we are very nosy, intrested but most of the time prone to staring as we are afraid to ask. My children are no different and will stare at people in wheel chairs or people who are different from them which I teach them is wrong and that if they are intrested they should go and talk to them. My eldest has done this to a poor lady in a wheelchair. She wanted to know why and after speaking to the lady she assured me she wasn’t offended but rather happy that my daughter would take the time to talk to her. Don’t get me wrong I can’t speak for every disabled person out there but I know that now my children are getting older they would much prefer someone ask than stare. It’s how they learn and share awareness isn’t it?? Don’t get me wrong it’s not an easy task to teach any child right from wrong but teaching your child to accept k that has been started and we live in a world where everyone is accepted regardless of their disability. The ADD diagnosis that another of my children has is the hardest disability as a parent to cope with. I find it extremely challenging as a parent as ADD and ADHD are still viewed by some as just a naughty child and how I must be a bad parent in some way spoiling my child or that it must be because I can’t cope. Having four children is also a no no in some people’s eyes. Thing is I can cope, it hasn’t broken me yet and the worse part is that some days it is not my child that causes me pain but the thoughts and actions of others. I feel I have to explain my child’s disability when meeting anyone new so they know straight away that there is a valid condition that makes my child act out. I feel shame and worry that old prejudices come to the forefront of a strangers mind and that they think I am being silly and I just have a naughty child, a bad apple amongst the four of them. I don’t!!!!!! Having disabled children does make you open your eyes to the plight of others. I never dreamed I would have children who had disabilities. No one in my family has anything and even the children of my siblings do not have the hearing loss or ADD that my children have. The disabilities my children face are by no means life threatening or emotional as what other parents go through, but for us it can be our own tiny world of emotional turmoil. I still feel occasionally like a failure compared to my siblings. That I must have done something wrong to be the only one with children who are viewed as different. I feel shame when my children do something that is not perceived as normal but can be explained due to their diagnosis especially my daughter with ADD…….but I never fail to feel that love, protectiveness and proudness that I felt when they were younger and free of any labels. Everything thing that my children accomplish makes me feel such amazing warmth and awe and that as young as they are they will continue to forge a path through whatever comes and be amazing people ready to help anyone and pass on their strength and experiences to those that are around them.